As we are all aware and experience during our regular travel across Mumbai city and other cities in India that traditional system of challan is troublesome and increases corruption. To address this challenge many cities in India have started adopting electronic way of issuing traffic challan to commuters. Mumbai is not behind in it and it also started pilot of this idea in August 2014. Basically electronic challan or echallan for short is generating a traffic challan for commuters on the basis of photographic evidence. Since photographic evidence is also accepted in courts this form of traffic challan ushers in transparency in the system. 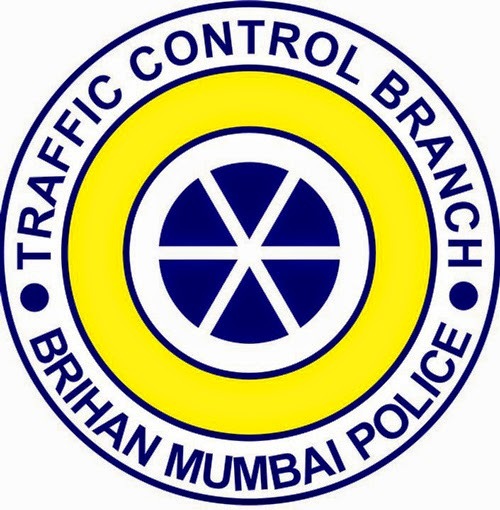 During the initial pilot Mumbai Traffic Police issued echallans to many commuters on the basis violations of traffic rules captured by the CCTV Surveillance Camera installed by the traffic police across Mumbai. A operator of traffic police monitors the cameras at the Central CCTV Surveillance Center and takes a snapshot of anyone jumping signals or stopping beyond the stop line. This snapshot is then used to generate a echallan. The registered address of the vehicle owner is obtained from Road Transport Office (RTO). These challans are then printed and sent to the registered address of the vehicle owner. Vehicle owner is then given 7 days to make the payment of the echallan failing which the traffic police approaches the court to take legal action. In the new year 2015 Mumbai Traffic Police has also introduced 15 Handheld devices to issue e-challans on the spot for traffic violations. While the sole purpose is to replace receipt books through this method, but currently challans are issue din both format to traffic violators. 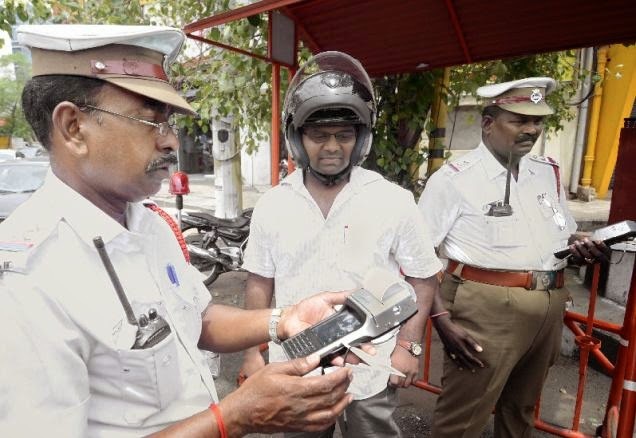 In this process On the Spot e-challans are issued to the commuters violating traffic rules. The device carried by the traffic personnel will have a printer which will issue the receipt immediately to the commuter. Traffic Police Personnel will also carry a swiping machine where in the commuters can swipe there Debit/Credit card to immediately pay the echallan on the spot. This will reduce incidents of bribe and will also make the complete process cashless.